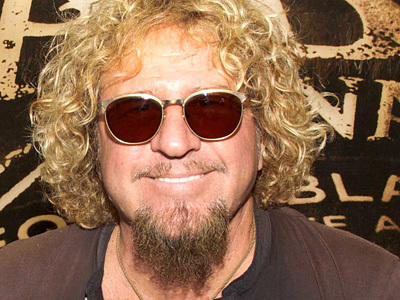 Sammy Hagar vows he’ll work with Van Halen again – even if it takes them until their 90 years old. 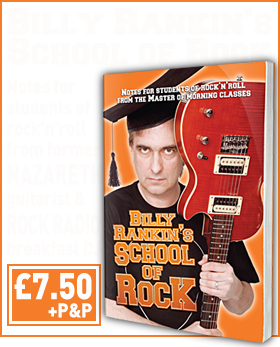 The singer admits some of the things he’s written in his upcoming book could make it difficult to reconnect with his former bandmates, but insists it’ll happen in time. Hagar had two stints with Van Halen, the first from 1985 until 1996, the second from 2003 to 2005. Original singer David Lee Roth returned in 2006 and the classic lineup, minus bassist Michael Anthony, are currently recording a new album. Anthony and Hagar are now half of supergroup Chickenfoot with Joe Satriani and Chad Smith – but the singer believes it’s only a matter of time before he shares a stage with Eddie Van Halen again. He tells Rolling Stone: “I would love to make another record with them. I’d say the odds are up there around 90 percent. “That’s if Eddie was totally cool and back to the guy I used to know – or a new guy. Just not the guy I knew the last time. I wouldn’t do it if he’s like that. But if Eddie got his life together, which it seems he has judging by the pictures I’ve seen, then definitely. In a passage from Red: My Uncensored Life in Rock Hagar describes going back to work with the Van Halen guitarist in 2003: “This was one of the sweetest guys I’d ever met. He had turned into the weirdest person I’d ever seen – crude, rude and unkempt. He looked like he hadn’t bathed in a week and he certainly hadn’t changed his clothes in at least that long. He wasn’t wearing a shirt. He had a giant overcoat and army pants, tattered and ripped, held up with a piece of rope. Hagar has no regrets about saying what he wants in the book, maintaining it would be worse not to do that. And the singer is at pains to ensure people read through the mud-slinging and understand how positive he feels about his time in Van Halen: “The last two years were really tough and everyone immediately goes to the dirt. But quite honestly, being in the band was one of the greatest experiences of my life. Red: My Uncensored Life in Rock is published on March 15. Oh god, that sounds like a meth addiction. So wonder Valerie left him. I hope this isn’t true. no, stay with chickenfoot, or go back to montrose, but ffs leave Dave’s band alone. Andie, dude it was never really Daves band, but completely stopped being “Dave’s band” the moment he LEFT to try and be a solo superstar (fail). And honestly, I think Eddie had almost taken control by 1984 when he built his own studio.